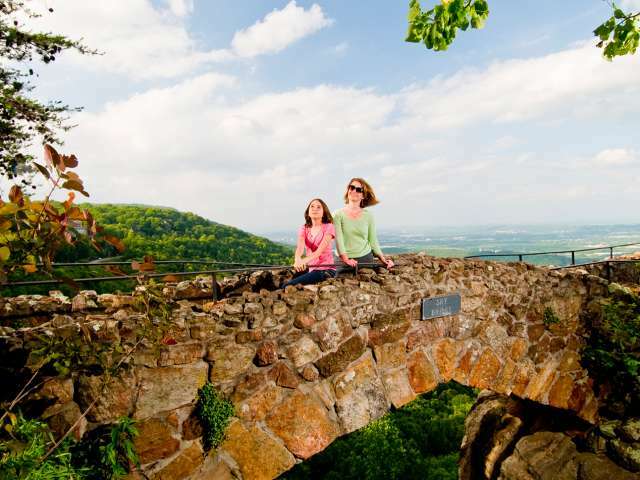 Chattanooga Family Vacation Packages save you time and money. The following accommodations are offering special packages during Spring Break that include overnight accommodations as well as tickets to a variety of the Spring Break Safari adventures. Deluxe overnight accommodations in a spacious suite – single king bed or two queen beds, each with a pull-out sleeper sofa inside the suite. Additional nights available at regular rate. Kids get a Chattanooga Spring Break goody bag that includes the official Spring Break Safari Guide and more. Tickets to the Tennessee Aquarium. Additional Tennessee Aquarium or IMAX 3D Theater tickets can be purchased for family members at the front desk. Complimentary full hot breakfast buffet, wireless high speed internet, and valet parking. Access to the 24-hour fitness center, indoor pool and whirlpool. Rates are based on occupancy. May not be combined with other offers or discounts. Advance reservations required and are subject to availability. Book online. 2 adult combination tickets to the Tennessee Aquarium and IMAX 3D Theater. Use of outdoor heated saltwater pool and 24-hour fitness center. Additional tickets can be purchased at the front desk. An official Chattanooga Spring Break Safari Guide. Combination passes to Rock City, Ruby Falls and the Incline Railway. Rates are based on occupancy. Package rate does not include tax. May not be combined with other offers or discounts. Packages are based on availability March 15 – May 18, 2019. Combination tickets to the Tennessee Aquarium & IMAX 3D Theater. Rates are based on occupancy. May not be combined with other offers or discounts. Additional attractions tickets charged extra. Packages are based on availability March 15 – May 18, 2019. Deluxe overnight accommodations. Additional nights available at regular rate. Combination passes to the Tennessee Aquarium and the IMAX 3D Theater. Package price varies depending on type of room booked and number of people. Rates are based on occupancy and may not be combined with other offers or discounts. Tickets to the Creative Discovery Museum and combination passes to the Tennessee Aquarium & IMAX 3D Theater. Visit Chattanooga Packages for more year-round accommodation specials.